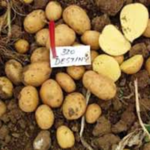 1.Roslin Eburu (B53): It was released in 1953 by the Kenya Agricultural and Livestock Research Institute (Karlo). 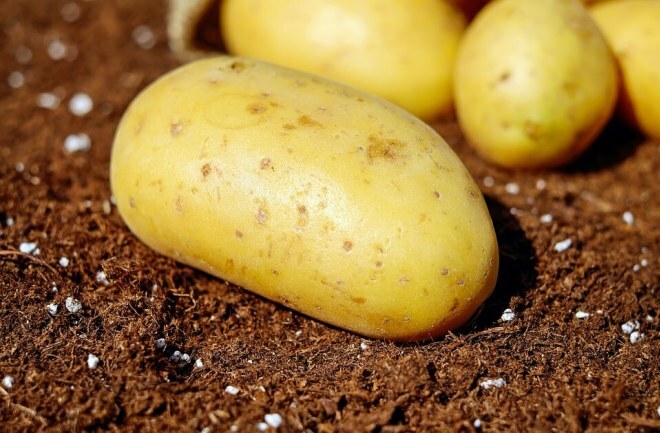 It is recommended to for growing in areas of between 2000 and 2800(altitude).It takes between 4-4.8 months to maturity and it has a good storability. 2.Dutch Robijn: It was released in 1960s by the Kenya Agricultural and Livestock Research Institute (Karlo). 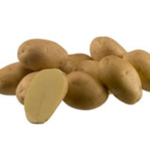 It is recommended to for growing in areas of between 1600 and 2600(altitude).It takes between 4-5 months to maturity. It has a good storage and crisping quality. 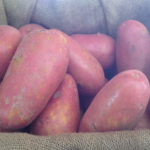 3.Kerr’s Pink.It was released in 1960s by the Kenya Agricultural and Livestock Research Institute (Karlo). 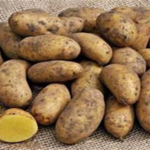 It is recommended to for growing in areas of between 1400 and 2700(altitude). It takes between 2-3 months to maturity. It is tolerant to drought, good mashing and roasting quality. 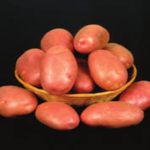 4.Anett: It was released in 1972 by the Kenya Agricultural and Livestock Research Institute (Karlo). 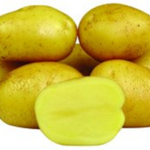 It is recommended to for growing in areas of between 1400 and 2400(altitude). It takes between 2.5-3 months to maturity. 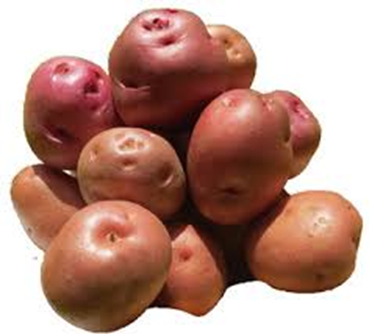 It is fairly tolerant to late blight disease. 5.Desiree: It was released in 1972 by the Kenya Agricultural and Livestock Research Institute ( Karlo). 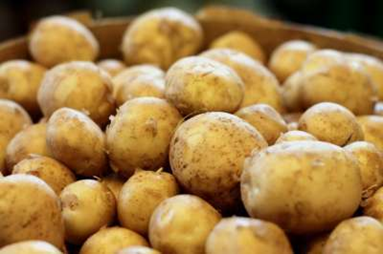 It is recommended to for growing in areas of between 1800 and 2600(altitude). It takes between 4-4.8 months to maturity. It has a good storage advantage. 6.Kenya Baraka: It was released in 1973 by the Kenya Agricultural and Livestock Research Institute (Karlo). 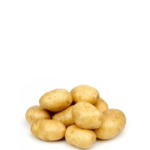 It is recommended to for growing in areas of between 1600 and 2700(altitude). It takes between 2.6-4 months to maturity. 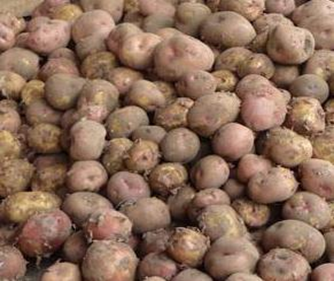 It is fairly tolerant to drought and good storage quality. 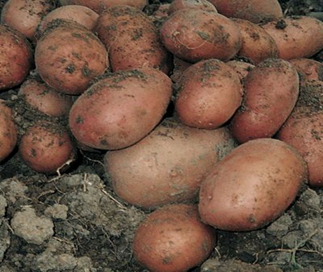 7.Roslin Tana: It was released in 1974 by the Kenya Agricultural and Livestock Research Institute (Karlo). It is recommended to for growing in areas of between 1800 and 2600(altitude). 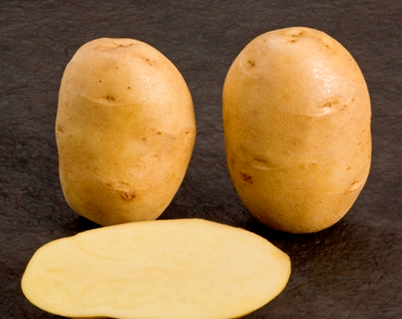 It takes between 2-3 months to maturity.It has a good chipping quality. 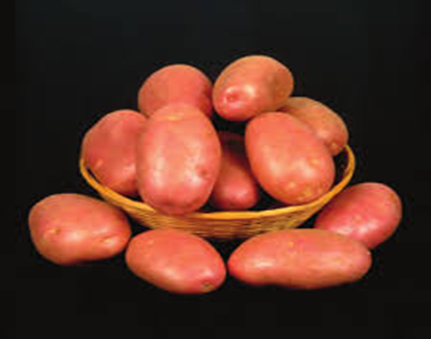 8.Roslin Bvumbwe: It was released in 1974 by the Kenya Agricultural and Livestock Research Institute (Karlo). It is recommended to for growing in areas of between 1800 and 2600(altitude). It takes between 2-3 months to maturity. It has a good chipping quality. 9.Kenya Dhamana:It was released in 1988 by the Kenya Agricultural and Livestock Research Institute ( Karlo). 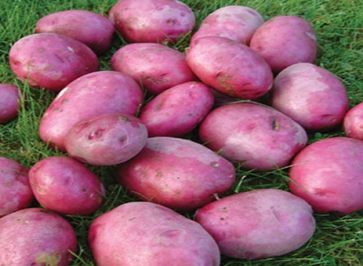 It is recommended to for growing in areas of between 1800 and 2600(altitude). It takes between 2-3 months to maturity. It has a good mashing quality. 10.Kenya Chaguo: It was released in 1988 by the Kenya Agricultural and Livestock Research Institute (Karlo). It is recommended to for growing in areas of between 1800 and 2600(altitude). It takes between 2-3 months to maturity. It has a good mashing quality. 11.Tigoni: It was released in 1988 by the Kenya Agricultural and Livestock Research Institute (Karlo). 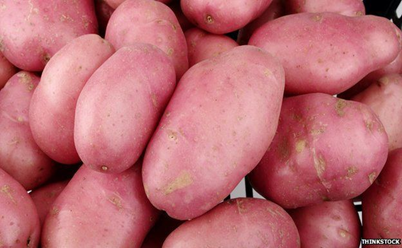 It is recommended to for growing in areas of between 1800 and 2600(altitude). It takes between 2-3 months to maturity. 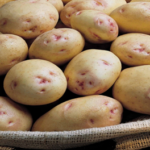 It has a good chipping, boiling & mashing quality, tolerant to late blight. 12.Asante: It was released in 1988 by the Kenya Agricultural and Livestock Research Institute ( Karlo). It is recommended to for growing in areas of between 1800 and 2600(altitude). 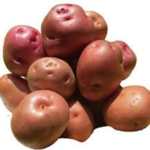 It takes between 2-3 months to maturity.It has a good chipping, boiling & mashing quality, fairly tolerant to late blight. 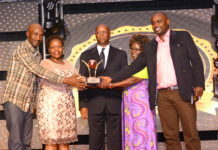 13.Purple Gold:It was released in 2010 by the Kenya Agricultural and Livestock Research Institute ( Karlo). It is recommended to for growing in areas of between 1800 and 3000(altitude). 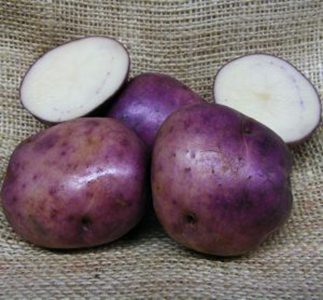 It takes between 4.0-4.5 months to maturity.It has round tubers,dark purple skin colour,shallow eye depth,white flesh colour,moderately resistant to late blight,good storability/resistant to greening,high tuber uniformity (80%),long dormancy,very good crisping qualities, also good for table , mashing and roasting. 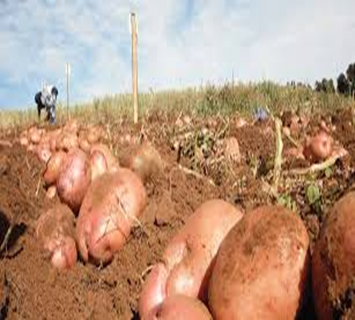 14.Kenya Mpya:It was released in 2010 by the Kenya Agricultural and Livestock Research Institute ( Karlo). 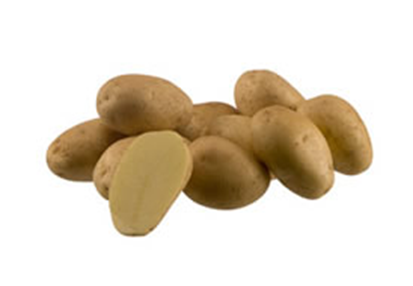 It is recommended to for growing in areas of between 1400 and 3000(altitude). It takes between 3.0-3.5 months to maturity. 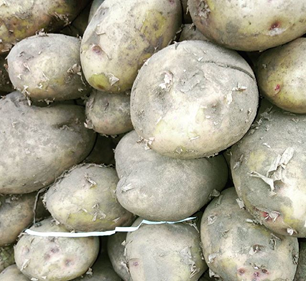 It has Oval /round tubers, early tuberization, large size tubers, cream white skin colour with pink eyes, shallow eye depth, cream white flesh colour, resistant to late blight. 15.Sherekea: It was released in 2010 by the Kenya Agricultural and Livestock Research Institute ( Karlo). It is recommended to for growing in areas of between 1800 and 3000(altitude). It takes between 3.5-4.0 months to maturity. 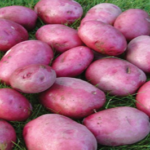 It has oblong/round tubers, high number of tubers per plant, red skin colour, medium eye depth, cream flesh colour, highly resistant to late blight and viruses, good storability, intermediate dormancy, good for table, crisp and mashing. 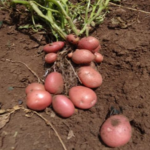 16.Arnova: It was released in 2013 by Agrico East Africa Ltd.It takes 3-3.5 months to maturity. 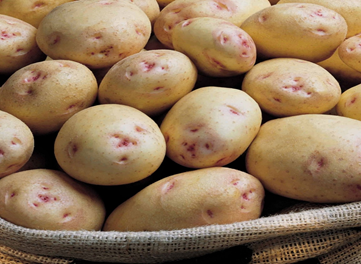 It has a Skin colour yellow, flesh colour yellow, tuber shape oval-long, drymatter content 18.2%. 17.Arizona: It was released in 2013 by Agrico East Africa Ltd. It takes 3-3.5 months to maturity. 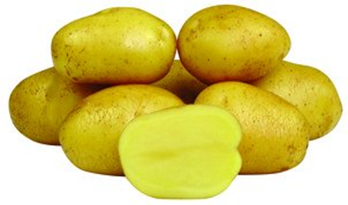 It has a Skin colour yellow, flesh colour yellow, tuber shape oval, drymatter content 17.2%. 18.Rudolph: It was released in 2013 by Agrico East Africa Ltd. 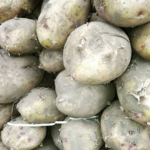 It takes 4 months to maturity.It has a skin colour red, flesh colour is white, the tuber shape oval round and dry matter content 20%. 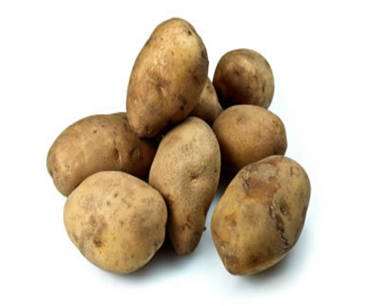 19.Connect:It was released in 2013 by Den Hartigh BV.It takes 3.5-4 months to maturity.It is Phytophthora resistant,no flowering,not sensitive to day length, has short cooking time and suitable to make home French fries. 20.SARPO MIRA:it was released in 2014 by Africalla.It takes 4 months to maturity. 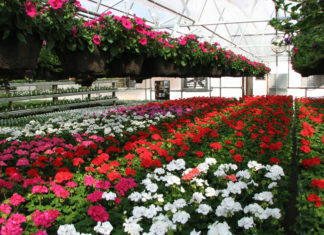 It is extreme good resistance to late blight in foliage and drought tolerance. 21.It was released in 2014 by Agrico East Africa Ltd.It takes 4 months to maturity. 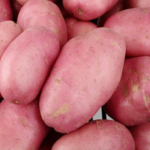 It has red skin,Crème flesh,Dry matter content 20%,Good resistance to scab, erwinia, and tuber blight,Suitable for home-made French fries, and fresh potatoes. 22.SAVIOLA: .It was released in 2014 by Agrico East Africa Ltd. It takes 4 months to maturity. 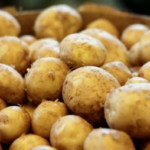 It has Long oval-shaped big size tubers,high yielding medium early variety,white skin and crème flesh tubers,Fresh potatoes. 23.TOLUCA: It was released in 2014 by Agrico East Africa Ltd.It takes 4 months to maturity. 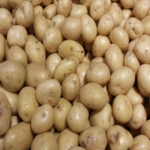 It has late blight resistance,high dry matter content,suitable for French fries and crisps,shallow eyes,medium term storage,excellent cooking quality- rather firm. 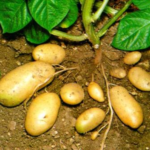 24.MAYAN GOLD:It was released in 2014 by MMUST/ Kenya Agricultural and Livestock Research Institute ( Karlo).It takes 120 days to maturity.Its tubers have smooth skin,yellow flesh,eyes medium depth,no skin pigment,fairly resistant to late blight on foliage (phytophthora infestans)and powdery scab(spongospora subterranean),fairly resistant to PVY and PLRV,good cooking quality. 25.CARUSO:It was released in 2014 by Den Hartigh.It takes 90-100 days to maturity. 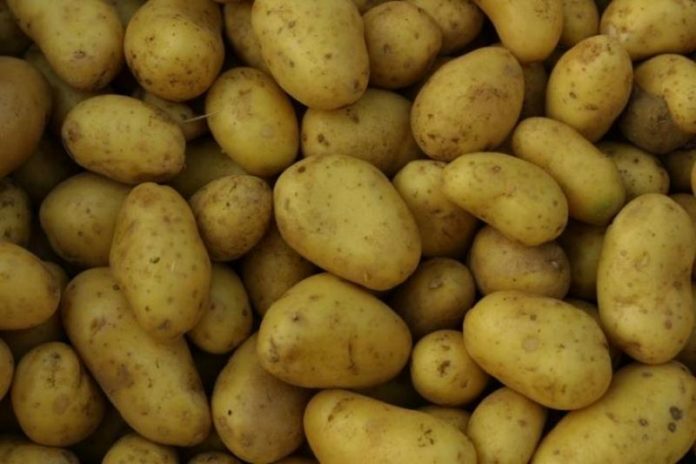 It is a high yielding crisping variety, low content of reducing sugars, round shape with shallow eyes,resistant to PCN Ro1-4,high resistance to late blight, tuber blight, common scab and internal rust spot. 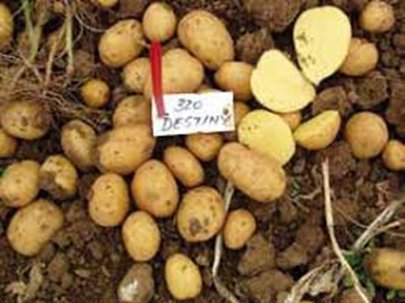 26.DESTINY (SL99-4005).It was released in 2015 by Agrico East Africa Ltd.It takes 6 months to maturity. It is multi-purpose, table, crisp. 27. SHANGI. It was released in 2015 by the Kenya Agricultural and Livestock Research Institute ( Karlo).It takes 3-4 months to maturity. 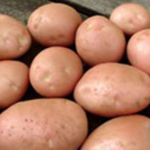 Benefits,early maturity, short dormancy, highly prolific, fast cooking, versatile use i.e. 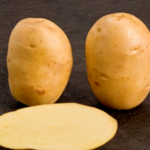 can be used for domestic consumption and processing into chips and crisps. 28.RUMBA:It was released in 2015 by Bioplant GmbH, GERMANY.It takes 4-5 months.It is resistant to PCN,resistance to common scab , spraing, mechanical damage. 30.CAROLUS:It was released in 2015 by the Agrico East Africa Ltd.It takes 4 months to maturity. It is suitable for french fries. 31.LAURA:It was released in 2016 by the Bioplant GmbH.It takes 4-5 months to maturity. 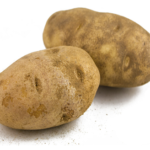 Its good in,processing variety,french Fries,medium cooking (B),Short dormancy. 32.Lady Amarilla:It was released in 2016 by C. Meijer B.V. 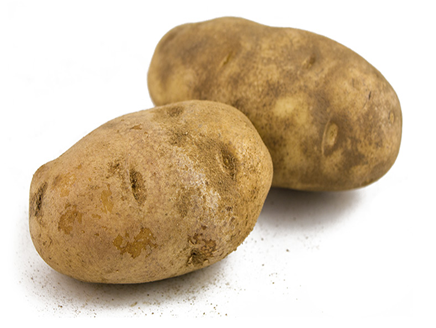 It takes 3 months to maturity.its good for,processing,long storage. 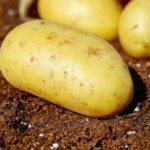 33.UNICA:It was released in 2016 by the CIP and Kenya Agricultural and Livestock Research Institute ( Karlo).It takes 80-90 days to maturity.Its resistance to PVX, PVY and PLRV,moderately resistance to Root Knot Nematode,good processing and also table variety,moderately light chipping colour,rich in vitamins C, Iron and Zinc. 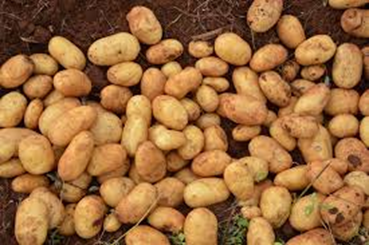 34.Lenana:It was released in 2017 by CIP SSA and Kenya Agricultural and Livestock Research Institute ( Karlo).It takes 80-100 days to maturity.Its tolerant to; – late blight, potato Virus X & potato Leaf Roll Virus;dry matter 22%;good for French Fries & crisps. 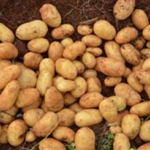 35.Wanjiku:It was released in 2017 by by CIP SSA and Kenya Agricultural and Livestock Research Institute ( Karlo).It takes 90-100 days to maturity.Its tolerant to; – late blight, potato Virus X & extremely tolerant to potato Virus Y; dry matter 21%;good for french Fries & crisps. 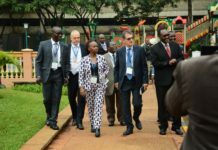 36.Nyota: It was released in 2017 by by CIP SSA and Kenya Agricultural and Livestock Research Institute ( Karlo). 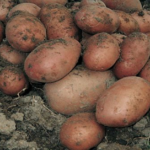 It takes 90-100 days to maturity.Its tolerant to late blight;tolerant to heat;dry matter 20%;table variety. 37.Chulu: It was released in 2017 by by CIP SSA and Kenya Agricultural and Livestock Research Institute ( Karlo). 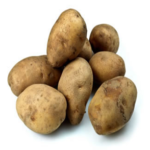 It takes 80-100 days to maturity.Its tolerant to; – Late Blight & Potato Virus X;tolerant to heat;dry Matter 24%;table and processing variety. ROYAL: It was released in 2014 by the Africalla. It takes 4 months to maturity. 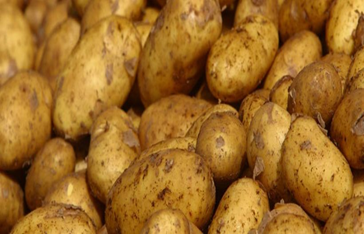 It has a high dry matter content and low sugar content, very suitable for French fries (chips) , Crisps, flakes and granulate. JELLY: It was released in 2014 by the EUROPLANT Pflanzenzucht GmbH. It takes 5 months to maturity. 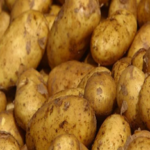 Purpose: French Fries, ware potato, medium cooking (B),Very low discoloration after boiling, yellow skin, yellow flesh, Late blight, bacterial wilt, virus resistance, good drought and heat tolerance, short dormancy, High marketable yields, medium sized to large sized tubers, uniform grading. EL MUNDO: It was released in 2014 by the Africalla. It is drought tolerance, late blight tolerance. 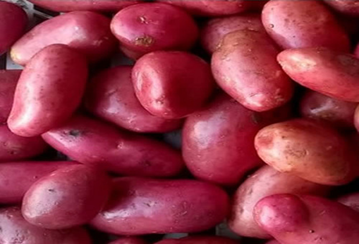 FALUKA: It was released in 2014 by the Agrico East Africa Ltd.It takes 3.4-5 months to maturity. 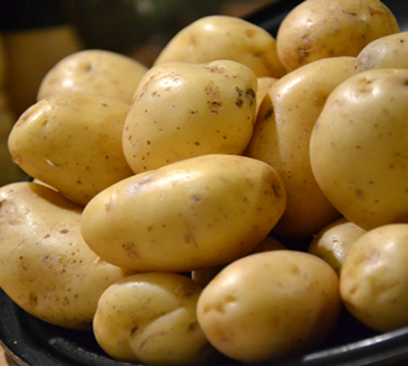 It has long shape tubers, white skin with white flesh tubers, utilization -Fresh potatoes. 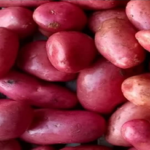 MARKIES: It was released in 2014 by the Agrico East Africa Ltd. It takes 4 months to maturity. 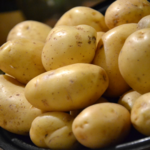 It has long oval shape, white skin, crème flesh tubers, strong canopy. 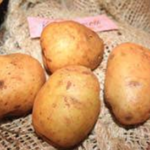 SAGITTA: It was released in 2014 by the HZPC Holland B.V.It takes 120 days to marturity,multi purpose variety: French Fries, Fresh, Crisps. 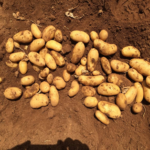 Good dry matter content, medium long dormancy, suitable for second crop, medium early, resistant to viruses and cyst nematodes. DERBY: It was released in 2014 by the HZPC Holland B.V.It takes 100 days to maturity. 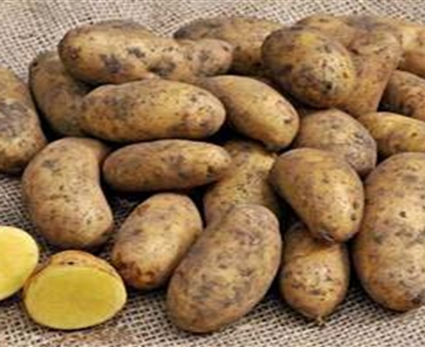 It is known for early maturing, good resistance to late blight, multi purpose variety: Crisps, french fries, fresh, short dormancy, good dry matter content, good scab and virus resistance,resistant to cyst nematodes. 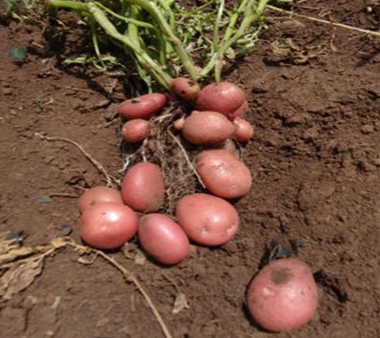 AMBITION(AR 96-0010):It was released in 2014 by the Agrico East Africa Ltd. It takes 150 days to maturity. 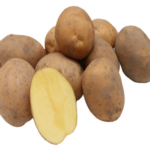 It is good for french fries, easy to grow, vigorous plants, large uniform oval/long big tubers, shallow eyes, moderate dry matter content, good resistance to Fusarium, Erwinia, PotatoCyst Nematode Ro 1and 4, Yntn-virus. TAURUS:It was released in 2015 by the HZPC Holland B.V.It takes 4 months to maturity. 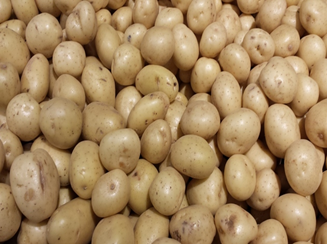 This variety is suitable for processing, especially for the production of crisps. 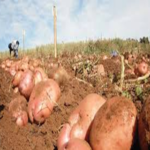 KURODA:It was released in 2015 by the Agrico East Africa Ltd.It takes 6 months to maturity. It has -Fresh table consumption. ZAFIRA: It was released in 2015 by the Agrico East Africa Ltd. It takes 6 months to maturity.It has -Fresh table consumption. MILVA:It was released in 2015 by the EUROPLANT PFLANZENZUCHT GmbH.It takes 3-4 months to maturity. 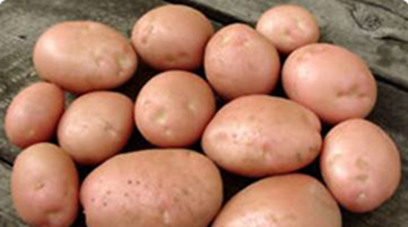 It is Fresh market potato variety, good resistance to Potato Cyst Nematode, late blight, Black legand common Scab. 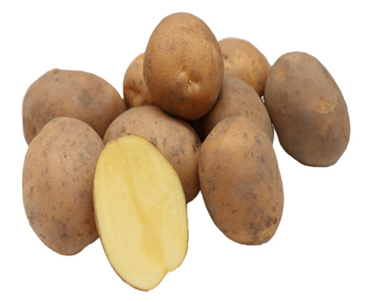 CHALLENGER: It was released in 2015 by the HZPC Holland B.V.It takes 4.5 months to maturity.It is very suitable for the processing industry (french fries) and fresh market. 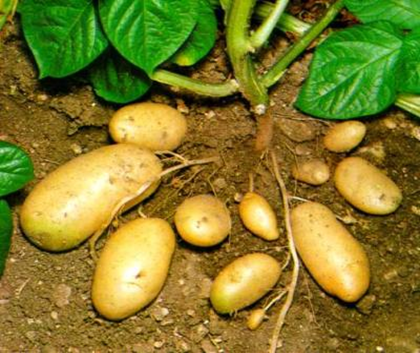 Good resistance to Alternaria and Common scab. 15.EVORA: It was released in 2015 by the HZPC Holland B.V.It takes 3.5-4 months to maturity.It is a fresh market variety, early maturing,big size tubers. 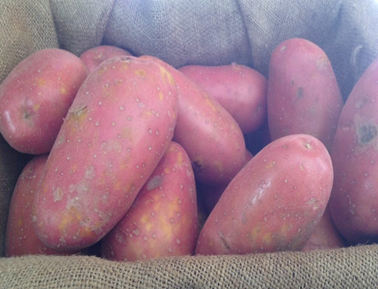 PANAMERA: It was released in 2015 by the HZPC Holland B.V.It takes 4.5-5 months to maturity.It is highly tolerant to climatic stress,good Late blight and scab resistance,good dry matter content,fresh market variety. 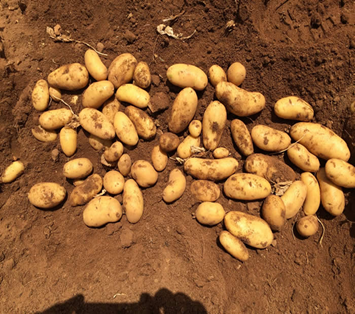 17.RODEO:It was released in 2015 by HZPC Holland B.V.It takes 4.5 months to maturity.It has a fresh market variety with good dry matter content,moderate resistance to common scab. 18.SIFRA: It was released in 2015 by HZPC Holland B.V.It takes 4.5 months to maturity. 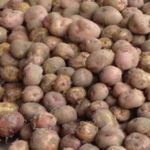 It has big size tubers, resistant to cyst nematodes and Wart disease,good resistance to common scab,good dry matter content,fresh market variety. VOYAGER: It was released in 2015 by HZPC Holland B.V.It takes 4.5 months to maturity. 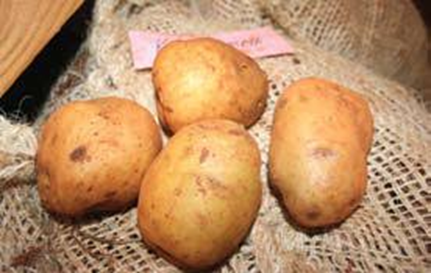 It has good yield, good late blight resistance,suitable for fresh market and French Fries,good common scab resistance. 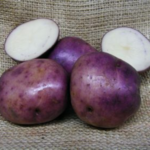 Release and gazettement of the new varieties that meet the release criteria. Seed multiplication of the new varieties by seed companies. 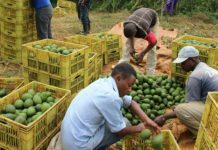 At this point the seed companies have to apply to KEPHIS for registration of the seed crops as well as the subsequent certification of the same. 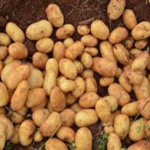 Field inspections are done at different growth stages of the crop to ensure trueness to type and freedom from diseases as per the standards set out in the Seeds and Plant Varieties regulations. At harvesting, samples are taken to test for seed borne diseases such as bacterial wilt. If the seed tubers are found healthy, grading is done by the seed company and Kephis confirms by doing a lot inspection. Any person contravening the requirements of the Seeds and Plant Varieties Regulations is guilty of an offence and is prosecuted in a court of law for fining or imprisonment. The seeds and Plant varieties regulations, 2016 also gives Kephis the mandate to revoke the licenses of seed companies who breach the requirements or are involved in malpractices.